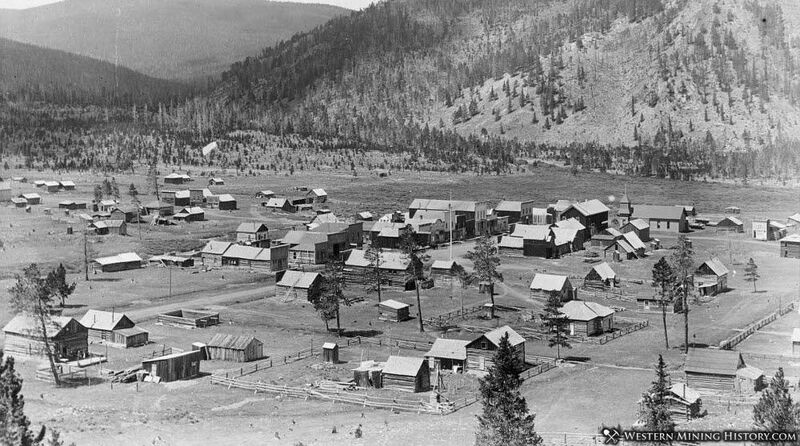 In October 1859, prospector Jim Taylor panned some gold from Willow Creek, and carried it back to camp in a tin cup; he named the valley "Tin Cup Gulch". For years the area was the site of seasonal placer mining, but no year-round communities were established, partly because of the danger of Indian attack. In 1878, lode deposits were discovered in the area, and the town of Virginia City was laid out in March 1879. By the 1880 census, the town had a population of 1,495. Virginia City was incorporated in August 1880, but confusion with Virginia City, Nevada, and Virginia City, Montana, caused the residents to change the name. The town was reincorporated in July 1882 as Tin Cup. Early Tin Cup was a violent place. Town marshal Harry Rivers died in a gunfight in 1882, and marshal Andy Jameson was shot to death in 1883. The town population declined when the mines were exhausted. The post office closed in 1918, and the last town election was held in 1918.